Are you looking for ways to generate sales from your social media accounts? But all too often, we post great content, create conversations, and increase our numbers of followers with no return on our investment. The work we do on social media - including posts, photos, gaining followers and engaging those followers – will not be worth it if we don’t generate new sales leads. Ask yourself this: what do your current followers actually do for your business? Are they helping you gain new followers? Are they turning into actionable sales leads? Yes, social media marketing needs to be a key part of your business strategy. But it doesn’t just happen. It requires work, planning and execution - then more work, adjustments, and continued execution. Let’s take a look at how to use social media to convert social media conversations into actionable sales leads. 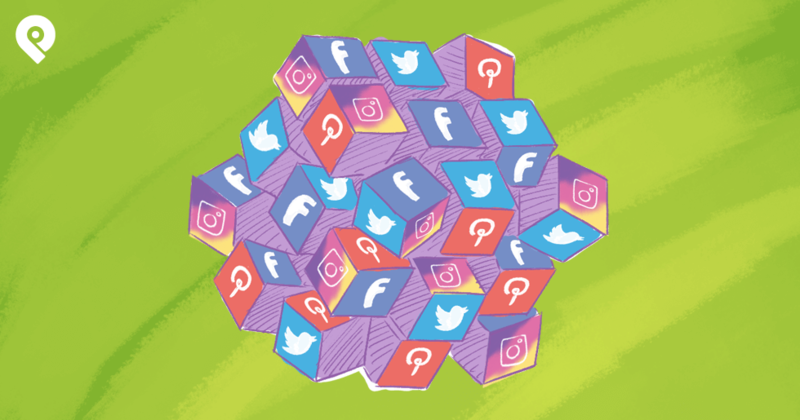 If you want to make better connections and turn fans and followers into leads and sales, you need to understand which social channel is supporting your efforts. 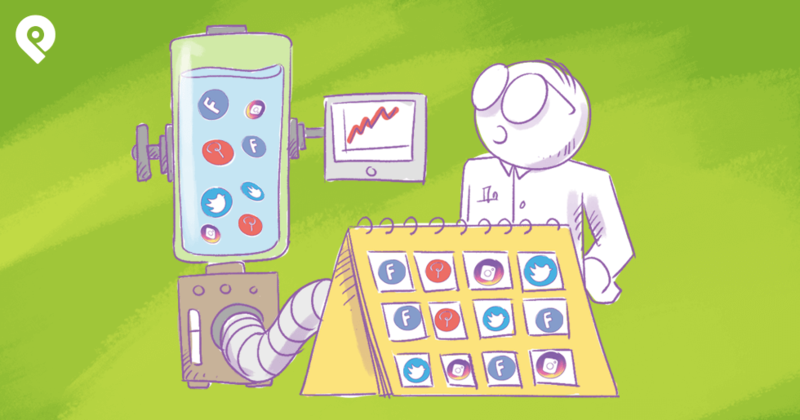 Begin by analyzing the data you have available for each social media platform. 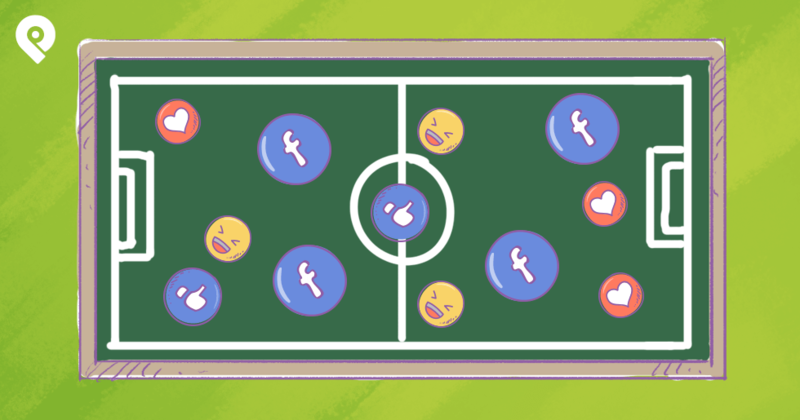 Which of your social media channels has the most followers? Which one has been most successful in engaging your audience? Which one has generated the most sales leads for your business? What is your audience saying about your business on social media? What is your audience saying in general on social media, and how does that relate to your business? While it’s important to analyze your social profiles, it’s also important to look at others in your industry and niche. What relevant conversations are happening and how they can relate to your business strategy? Use tools like Google Analytics, Facebook Insights, and Twitter data to dig deeper and inform your decisions. 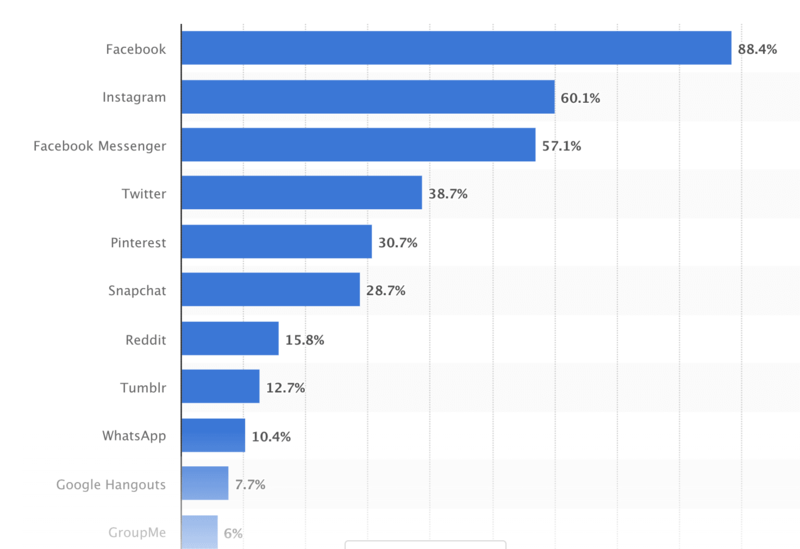 With that data, you can focus on the most important social media sites, then adjust your content strategy, and create posts that support that strategy. 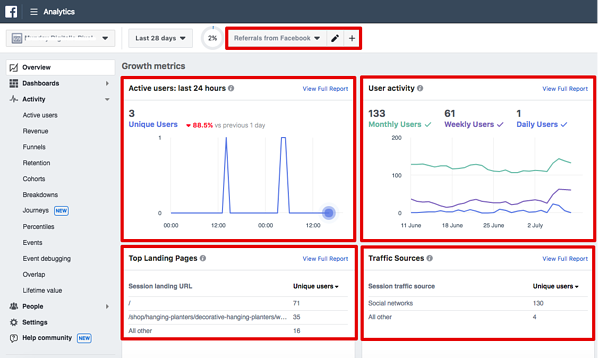 Facebook Analytics can provide great insight into how your social media audience is interacting with your website and the content you're currently sharing. In order to use social media effectively and truly speak to your customers, you need to understand your audience. In marketing, customer personas are used to define and understand your typical customer or target customer. Basically, it means building a sample customer and using that persona to identify exactly what your customers want. In the context of social media, you can use personas to build content that is relevant to them and will ultimately generate sales leads. Here's an example. Let’s say I own a purse business, making custom purses and bags that I sell on the Internet. My value proposition is making quality bags that hold what you need, and are comfortable and easy to carry. Let’s create one persona for our business, and then determine what we would do on social media to attract new business by understanding and appealing to this sample customer. She carries her belongings, including a laptop, to and from work every day. She rides a commuter train. She doesn’t mind spending money on quality. She also likes a classic style that looks good. This is a target customer for my business, so I can determine some social media campaigns around that persona. For instance, I can write a blog post about what to carry while commuting. I can post Instagram pictures of my commuter bags. Knowing your audience will also help you create engaging images that drive customers to look deeper into your content. Examples of an engaging image could be a stylish commuter bag - or a stylish commuter - that includes a link to a sign-up form to receive emails from your business. Content is not just about the words, it’s also about pictures and images that appeal to your target audience. After all, posts that include photos or images do get more likes and clicks than words alone. Understanding your audience allows you to focus your efforts and create content that appeals to that audience – or various audiences - rather than creating general content that doesn’t appeal to anyone. Facebook Audience Insights: using the persona you create, you can delve deeper into the market segment and understand your target demographic in more detail. Now that you know which social media channel is serving your business, and you've defined your audience, it's time to focus your efforts. Unless you have a team that manages your social media, you need to focus. It doesn’t do your business any good to have a presence on 10 sites only to have them sit and go stale. You'll need to focus on 2-3 sites and work them. Once you have success, expand to other sites. And don't worry about what's most popular or the "top social media sites for business." You can also use your audience metrics to help define which social media platform you want to expand into. For example, if you’re doing great on Facebook and one of your personas is 25-year-old Sara, you'll want to consider a platform more relevant and popular to 20-somethings. It’s also important, whichever social media platform you’re using that you deliver quality content that inspires them to “click through” to your site. The more engaging the content, the more success you'll have. For instance, using the earlier example of the commuter, create an engaging blog post about what to carry on your commute. Include a link to a relevant landing page on your website (the page with the commuter bags for customers to see and purchase). Make sure the link is relevant to the content, and not just to a general page on the website. The more customers hear from you, the more your business will come to mind when they're in the market for a commuter bag or other stylish purse. Once you know what platform works best for you, it's time to learn how to use each platform effectively. Using the information you've gathered, you’ll be able to create a strategy around certain content. But you won’t be able to use identical content on each platform. What works on Facebook won't be the same as what you use on Twitter. Just like your Instagram posts can’t be the same as what you post on LinkedIn. In other words, your content will have the same focus but not the same strategy. A blog post on LinkedIn: how heavy purses can be harmful to back health links to your page of commuter bags that carry many items but are comfortable to carry. A photograph of your most popular commuter bag on Instagram: linking to the commuter bags. 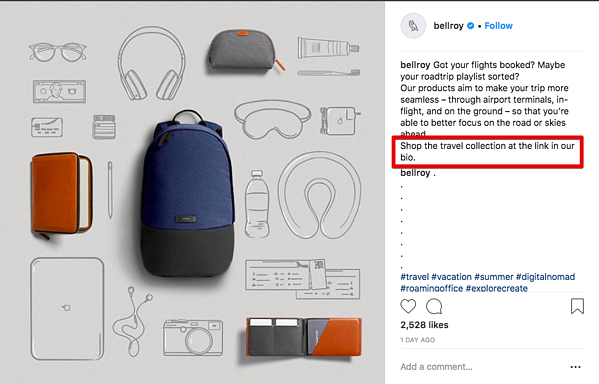 A Twitter post about your newest commuter bag: using hashtags to trending topics you’ve researched (#commuting, #backhealth, etc.). 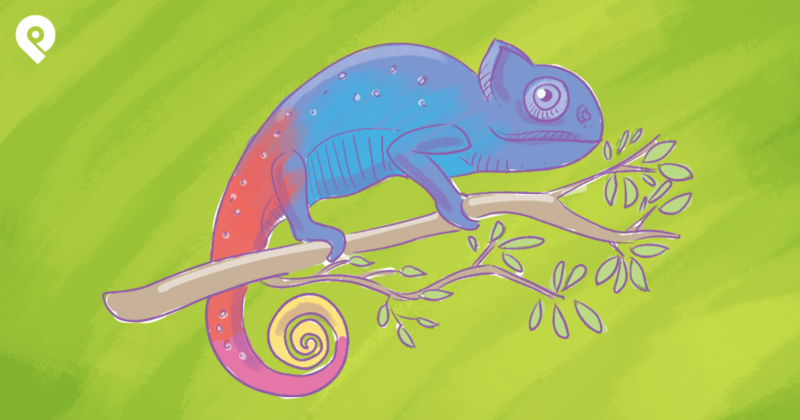 A Facebook link to your blog post with a call to action to like your page. You don’t have to wish and hope social media will drive customers to your site or your store. Instead, convince followers and fans to make a purchase. This can be done through deals and sales exclusives. For instance, use Facebook to create audience-exclusive coupons. 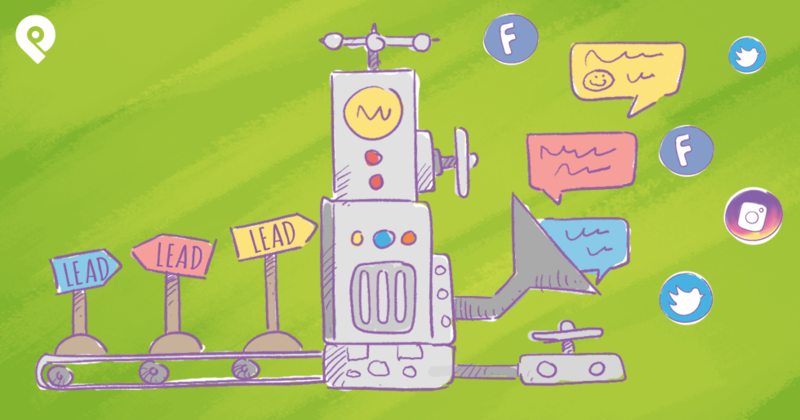 It’s easy to offer coupon codes that you’re only announcing on Facebook to fans of your page. Customers love to feel special, and Facebook allows you to do just that for them. Discounts for page followers that aren’t open to the public will be valued more by your consumers. This can increase the number of followers you have, but also help turn those who “like” your page into actual buyers. The promotion doesn’t have to be an instant purchase or a limited-time sale, either. Some studies show that 40 percent of people will like a Facebook page if it means they get a discount on their next order. Another option is sending a coupon to new newsletter or blog subscribers. While you are offering your product at a lower cost, you may end up with many more sales because of the promotion, which in turn can lead to repeat sales. 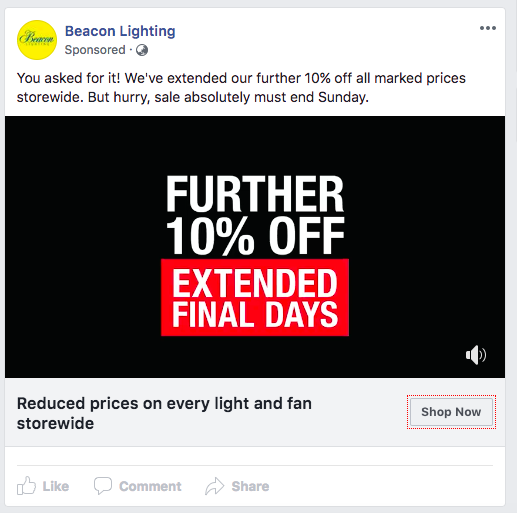 Facebook: Beacon Lighting runs retargeting ads via Facebook offering visitors to their website a 10% discount. To create a presence that customers will continue to return to – and in turn think of when they are shopping – it’s a good idea to think beyond your own content. For instance, you can use Facebook to occasionally link to posts that will relate to your audience’s interests, and not just link to your business page. On Twitter, you can post inspiring quotes, or pose questions to your audience with hashtags like “What’s the biggest frustration for #commuters on your daily commute?” Twitter is also a way for people to get news, so you can create tweets using hot pop culture topics, or by sharing the content of influencers relevant to your business. Fun and engaging content will gain you a larger presence on social media and will make you top-of-mind with customers. Consider expending effort into creating a presence that isn’t just about sales. Some experts suggest following an 80/20 rule — where just 20% of your social content is focused on product and sales, and the remainder relates to more general information of interest to your audience. Find a balance that works for you and your business. Once you have gained a presence, gotten many followers, and achieved some sales goals with your social media presence, you have to continue to be active, and you have to respond to your customers. One of the most important pieces of work is to post regularly, and continue to be relevant to your audience. In keeping with the earlier tactic of focus, you can’t create a bunch of social media sites and then let them sit and get stale. You can use tools to schedule posts and maintain a consistent posting presence. However you accomplish it, those regular updates keep your name in the minds of your customers and potential customers. Along the same lines, you must be responsive to your customers. Any questions or comments on your site must be responded to quickly. 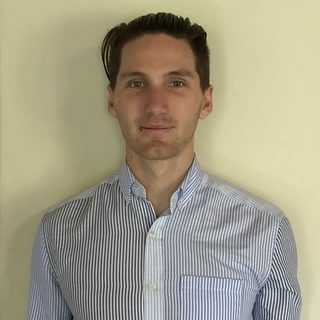 Any customer or would-be customer will appreciate a quick and honest response, so be available to those who connect with you via social media. In fact, Facebook now shows how quickly a page is likely to respond to a message. Taking too long to respond or not responding at all will hurt your image, and one bad interaction can have lasting negative effects. On the flipside, you can also use the positive interactions and comments of customers to further promote your business. Spend some focused time each day monitoring and updating your social media presence. Using social media to market and promote your business can be time-consuming but it can also be rewarding. Spending time on your strategy before taking a deep dive can create the results you want. Use the data you have, understand and cater to your audience, understand your platform and create content relevant to it and your audience, and be sure to stay active and responsive. Through it all, don’t be discouraged. Evaluate and adjust as needed, and social media will be a helpful addition to your overall business strategy.